Looking for a PonyCycle in your city? Now you can get a PonyCycle in your own city with minimal delivery costs. In order to make an order fill out the form on our site or write us an email and one of our consultants will get back to you. PonyCycle in Sheffield – retailers and rental agents. Would you like to become an official PonyCycle retailer or rental agent in your city? Get in touch! We are a professional and trustworthy company that have been retailing PonyCycle for more than 4 years. We offer experience, excellent conditions, a wide range of products, full documentation, efficient delivery and bespoke discounts to our official retailers and agents in different regions. Please don’t hesitate to ask any questions you have about retail or wholesale purchases. You can find more information about PonyCycle on our site or get in touch with one of our online consultants. PonyCycle.biz offers the widest range of big and small, professional and home use PonyCycle. We are actively seeking partners working in the children’s entertainment industry in Sheffield. PonyCycle - Play and develop! It’s hard to be a parent today! The days when children could play for hours with a plastic doll or truck are long gone, and not because they are more spoiled or demanding, but because there are so many more toys out there, and those toys are so advanced. Once you’ve bought your child a hi-tech gadget, it’s no surprise that simple toys don’t satisfy them anymore. In fact – the next toy has to be even cleverer than the last. There is, however, a toy that can keep a child happy for a long, long time. Not only is it fun to play with, it is also a friend. If you’re looking for an ideal gift for your little one, buy a PonyCycle! Our online store offers the biggest range of PonyCycle products in Europe. 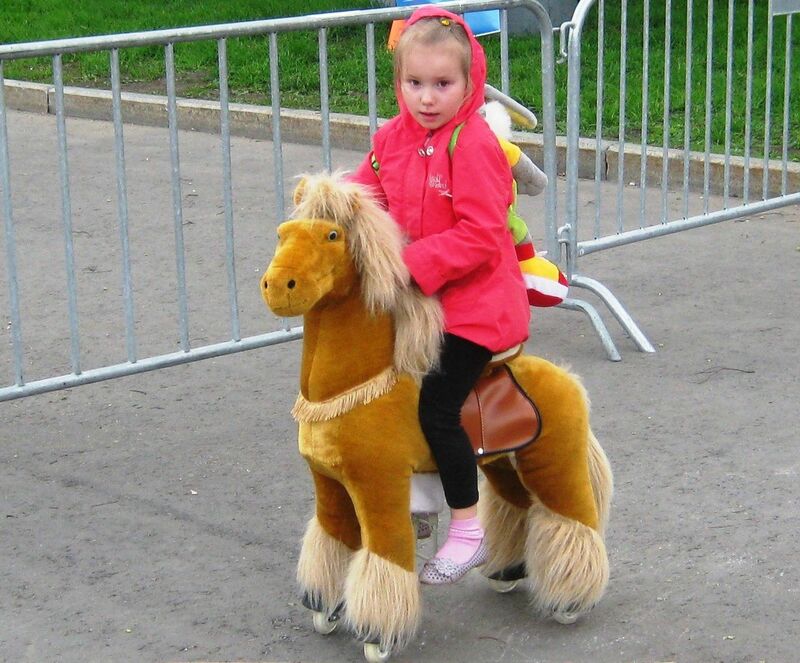 You can buy up to 10 types of PonyCycle in 3 sizes for a very competitive price. We offer discounts to returning clients and can deliver to anywhere in the European Union. Orders can be made 24/7 and our consultants are always ready to help you choose the right size and model. All PonyCycle come with a guarantee and we provide all the necessary technical support to keep your PonyCycle working. We have a wide range of spare parts in stock, so that your child never has to say goodbye to its favourite toy. 1. Go to the online shop on our website. 2. Please choose one or more models, and then click Add to Cart (Buy), wait when your order add to cart and click Checkout. 3. Check your order correctly specified model Ponycycle, quantity and price, if necessary, edit the order, if everything is correct, click Checkout. 4. Fill out the order form, enter the full name of the recipient and contact phone, e-mail, exact postal address, including zip code, if you consider what some specify additional information please do so in the "Additional Information". After click Send order. 5. You can directly pay via Paypal payment system or wait for our invoice. Other questions you can ask via the feedback form, located in the lower right corner of any page of our website Ponycycle.biz.